It was a long, strenuous day for the players of the $25,000 Challenge, but after more than 12 hours of play, just five players are left. Fabian Quoss is the chip leader with 504,500, and he will have to shake off three friends and Erik Seidel in order to claim to title tomorrow. Nothing has been decided just yet, except for the fact that each of the five remaining players have locked up AU$51,000 in prize money. The day started off slow with just eight players in the field to start, including Antonio Esfandiari. The World Series of Poker Big One for One Drop winner basically ran the show for the first six hours of play until he ran into his stack into the ground. Niklas Heinecker and Ole Schemion profited from Esfandiari's moves, and the two Germans remained atop the leader board for quite some time as the field size increased. Other players that played, but failed to impress were WSOP Main Event runner-up Jesse Sylvia, Grant Levy, Jeff Rossiter and Vanessa Selbst. All those were knocked out quickly. In total, the event saw 30 entries from 27 players. Selbst, Joe Hachem and Fabian Quoss all put up AU$50,000 for this event, but it only worked out for the latter who is now chip leader. With the final table in sight, we said goodbye to Mark Teltscher and Jonathan Karamalikis in ninth and eighth place, respectively. 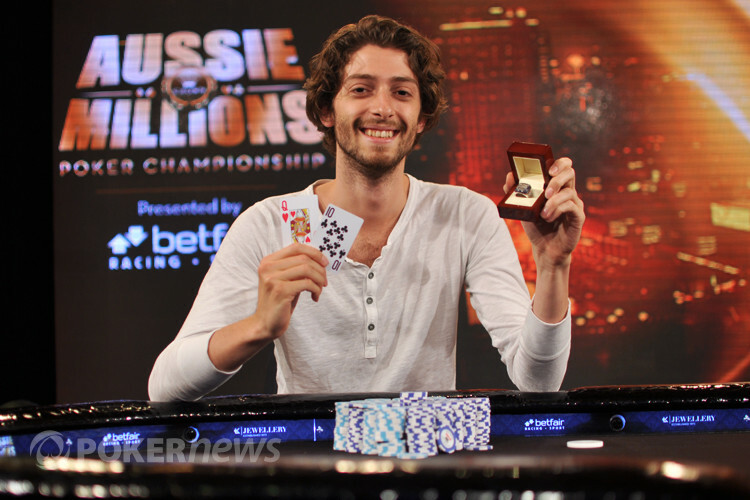 Schemion — who looked as though he might run away with the tournament at one point — was the next to go in seventh place. The young German played very aggressive, but his opponents seemed to catch on to him and not shy away from his antics. The last remaining Australia player, Daniel Neilson, was knocked out on the bubble when he ran ace-nine into Heinecker's pocket kings. The Germans were unstoppable today — something of a theme here at the 2013 Aussie Millions — and Seidel is the only one left that can ruin the party. This is what the remaining five players will be playing for tomorrow as the final table kicks off at 5:00 p.m. local time. For now, we would like to wish you a good night and hopefully you will join us again tomorrow as a winner will be crowned. 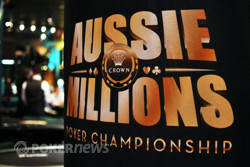 In the meantime, head over to the blog of the 2013 Aussie Millions Main Event that running deep into the morning hours.